Learning can be done anywhere! Let’s be honest. While it’s possible for kids with physical, intellectual, or emotional disabilities to have wonderful public school experiences and be both happy and successful there, it is not that way for everyone. Sometimes the fight for inclusion, services, or accommodations is an exhausting uphill battle. Sometimes even if the teachers, principal, and school district are supportive, a few unkind students can make life miserable for a child who is different. As a parent, you want your child to love learning and reach their full potential. If they’re unhappy at school or being “managed” rather than educated, homeschooling might be a better option. Fortunately, as many families have learned, teaching kids with special needs at home is not only possible, it can help many of our children blossom and thrive. Homeschooling is not easy and there are tradeoffs. You miss out on some of the resources that schools can offer like art and sports facilities, onsite reading and education specialists, and a full-time school nurse. But homeschooling enables kids to learn at their own pace and in their own learning styles. You can provide one-on-one attention, take breaks when needed, and schedule the day around doctor or therapy appointments. If you’re considering homeschooling your child with special needs, here are seven tips to help you both succeed. 1. Individualize and customize learning. One of the main reasons families of children with special needs turn to homeschooling is because they can individualize instruction. 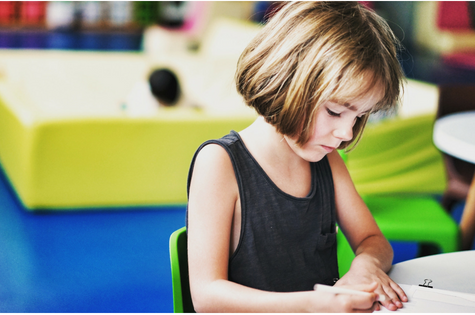 If your child was previously enrolled in a public school, chances are they have an Individualized Education Program (IEP), but it might be out-of-date and many of the items may no longer apply. As a homeschooling parent, you don’t have to stick to the format that schools use. But it’s a good idea to make something that you can keep in your records. IEPs can be helpful for identifying goals, keeping track of your child’s progress over time, and communicating academic progress. There are free IEP generation tools online that can help you customize a plan for your child. 2. Have a designated homeschool space and daily routine. Many kids with special needs thrive on predictability and routines, so it’s a good idea to have a schedule and cycle through a regular routine of classes and activities. You can always deviate from the plan when you need to, but having a routine is good for your child and it can help you keep yourself on track and focused on educational tasks. It’s also important to create a dedicated space for learning. Most successful homeschooling families have a part of their home that has been modified for homeschooling. When creating your homeschooling space, don’t feel like you have to mimic a traditional school environment with a desk and whiteboard. For many children, a sensory-rich environment is best for learning. 3. Empower your children by giving them a say in their education. If you want your children to enjoy learning, then give them a say in their education. Just like adults, kids are more likely to enjoy doing an activity that they have chosen. By simply asking them what topic they would like to study next or by allowing them to choose a curriculum material, you are empowering them. If your child is passionate about or fixated on a particular item, like dinosaurs or trucks, work it into your lessons. 4. Just because you are homeschooling doesn’t mean you stop advocating for your child. Yes, some of the pressure is off when it comes to advocating at IEP meetings. However, it’s still important for you to know what your child needs and get access to anything he or she is entitled to by law. For instance, depending on where you live, speech therapy and other services might be available through your school district. If not, you can try getting services through your health insurance plan. 5. Fill in the gaps. As wonderful as homeschooling can be, you do give up certain resources that traditional schools offer. Most schools have full-time nurses and large, accessible facilities with music and art rooms, gymnasiums and sports fields, onsite reading specialists, and more. You can compensate for a lot of these with a little research and creativity. Many state laws require teachers and childcare workers to be certified in CPR. Even if that’s not mandated in your area, you can make sure you’re prepared for emergencies by having a well-stocked first aid kit and taking an online CPR and first aid training course to learn how to use it. For PE, try swimming lessons at the YMCA. Local sports leagues or Special Olympics can provide the experience of being on a team. Get crafty at home or check out art and music programs in your community. You can hire tutors or trade off with other families to teach any subjects you aren’t confident about. 6. Get moving and get social. Successful homeschooling families know the importance of physical activity and social interaction. You cannot allow yourself or your kids to become couch potatoes or house hermits. You all need to do some physical activity each day. For example, elementary students get recess and take a physical education course. Your child needs this type of physical activity as well. Additionally, it’s important to get out of the house and spend time with other families – especially other homeschooling families. These families are in the same situation as you, so you’ll be able to talk to each other about issues you’re facing and learn how to overcome challenges together. Plus, it helps your child develop important social skills. 7. Leave some breathing room in your calendar. While a daily routine and structure are important, it is just as important to leave some breathing room in your calendar. You will have bad days. Your child will have bad days. You will try a curriculum that doesn’t work for your child. You will do a science experiment that will not turn quite as it should. You will learn quickly as a homeschool parent that there is quite a bit of trial and error involved. Do not expect everything to go as planned or go exactly right the first time. 8. Find your people and know when to ask (and accept) help. When it comes to homeschooling, you are not alone. Homeschooling continues to be a well-liked option for parents of children with special needs. For instance, while you already know about support groups for parents of children with special needs (and even groups for specific challenges), there are also support groups for homeschooling parents and parents homeschooling children with special needs. Additionally, there are state homeschooling organizations, social media groups, and email lists. Join the ones that will offer the help you need. You can successfully homeschool your child with special needs. You are uniquely qualified to be your child’s parent, advocate, and teacher. Now, this is what you called great like the cheapest essay writing service reviews. Learning disabilities in children is a very complicated issue and it is the duty of the parents to understand their kids situation and tackle them with care. Show them, they are not a freak or not normal but special from others.